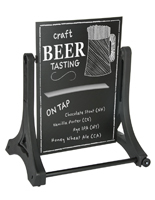 24” x 36” Double sided blackboard allows multiple messages to be showcased at once. 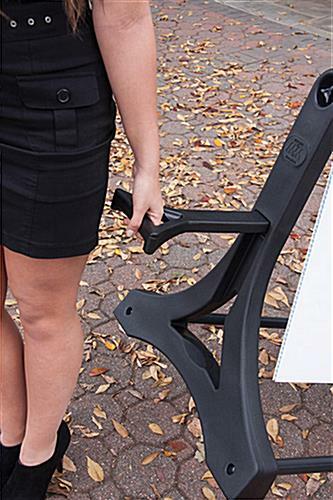 Self-storing EZ-Lift handle allows for no more lifting or carrying. Wheels & slim design make transporingt quick & easy. Base has ports to add water or sand for stability. Technopolymer design minimizes dents & water damage. (3) Wet-erase neon markers included to make advertisements pop. 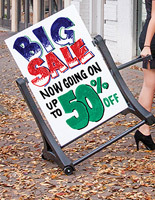 These rolling signs, also known as portable outdoor message boards, present eye-catching advertisements. 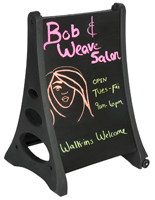 These write-on marker boards are ideal for outdoor advertising. 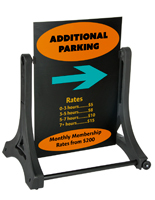 These rolling signs that are double-sided draw the attention of passerby approaching from both directions. These sidewalk message boards make it possible to display multiple promotions at once. 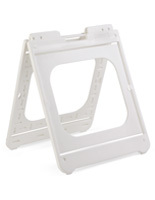 These portable rolling signs include a built-in handle for quick and easy portability. 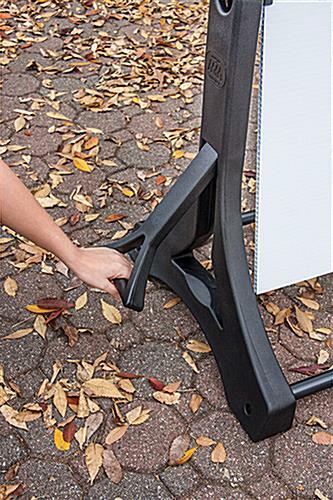 Just grip, tip, and roll to transport these outdoor marker boards. These rolling signs that are only 20lbs each are relatively light compared to most outdoor sidewalk boards. 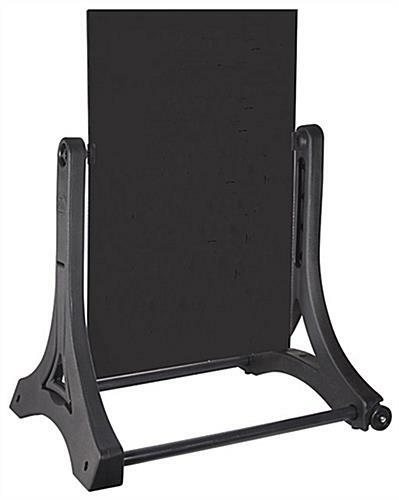 These sidewalk advertising boards eliminate lifting and carrying. 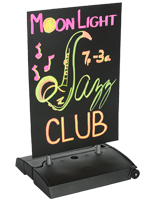 These swinging rolling signs are ideal for store fronts and restaurants. These retail frames allow users to create their own custom messages. 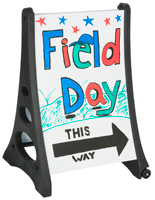 These rolling signs have 24” x 36” black writing area with (3) neon wet-erase markers included that do not wipe off on fingers or clothing. Change your message easily in minutes with glass cleaner. These rolling signs come with (1) pink, (1) yellow, and (1) orange marker. Use these neon markers to make promotions pop. These rolling signs can be used in winds up to 20 mph! These marker boards have a rust-resistant technopolymer base with ports to be filled up with water or sand for stability. 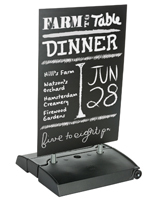 These outdoor advertising boards, rolling signs assemble in minutes.